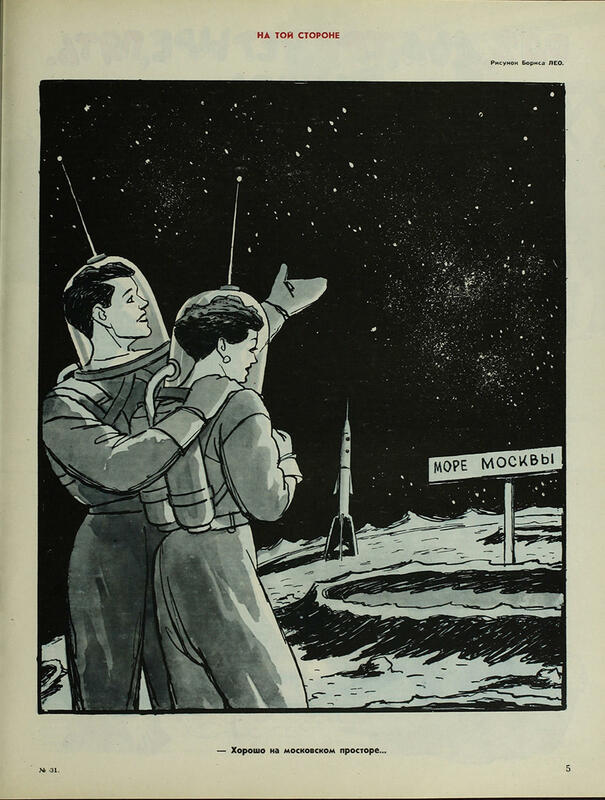 In Russia and many former soviet republics, Cosmonautics Day has been celebrated each April 12 since the 1961 flight of Yuri Gagarin on that date. 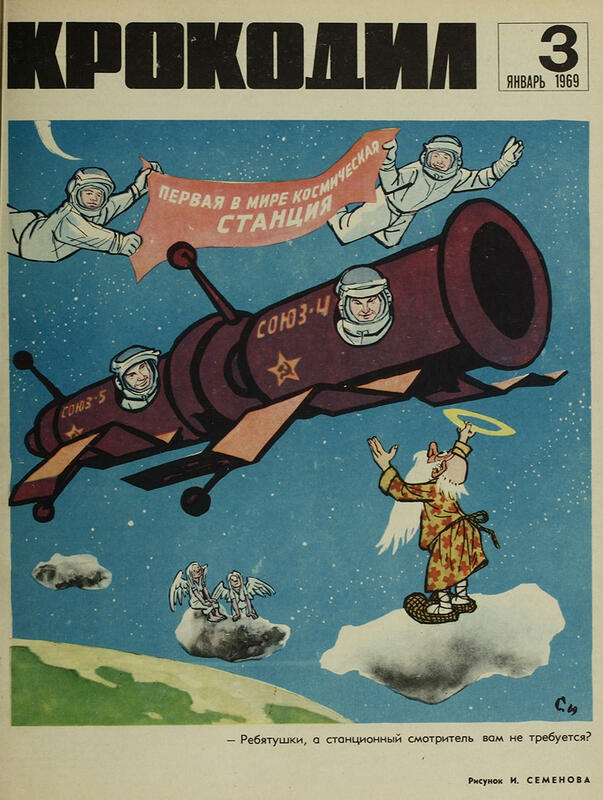 His flight inspired millions of Soviets. 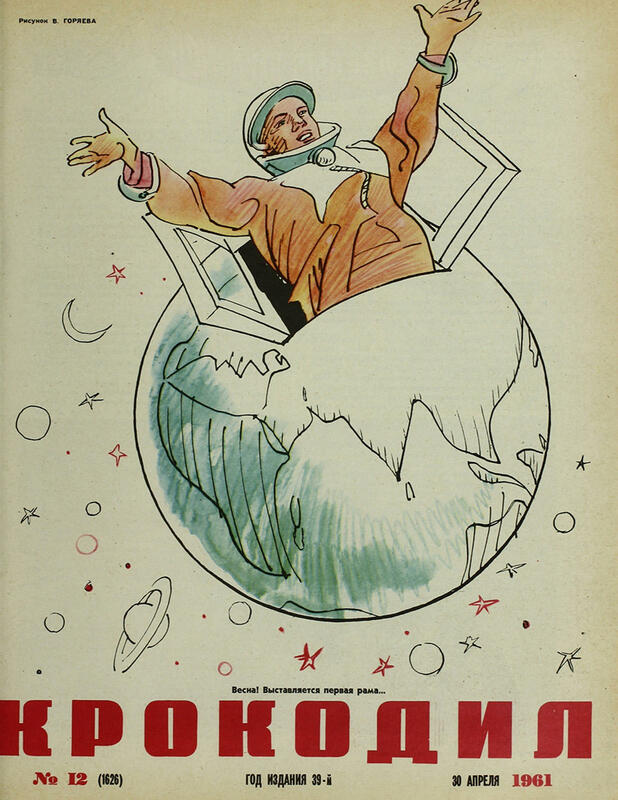 The Crocodile, USSR satirical magazine, has been publishing curious sci-fi cartoons that were dedicated to space exploration. 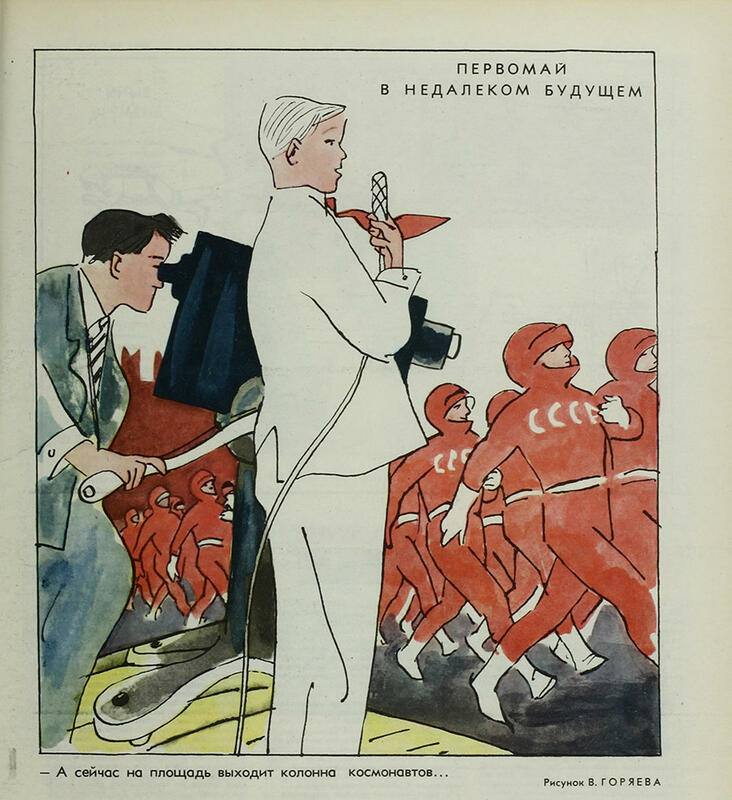 Here are some of their illustrations. 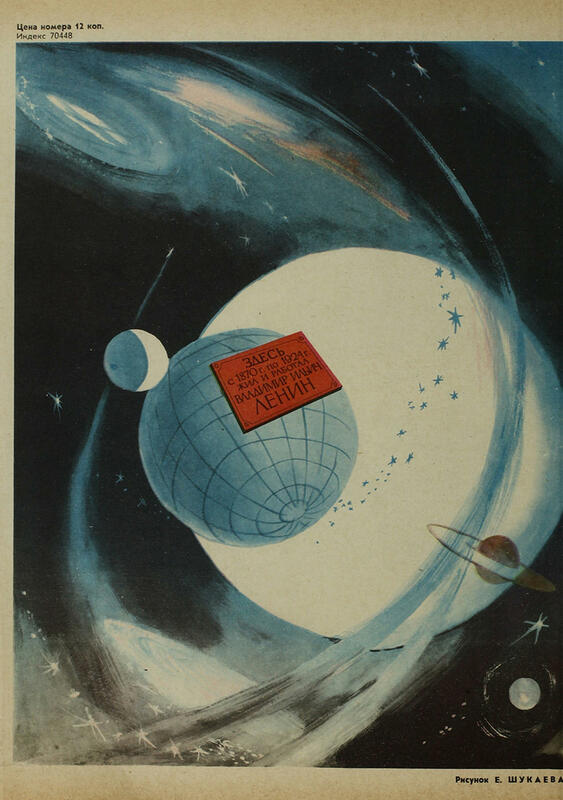 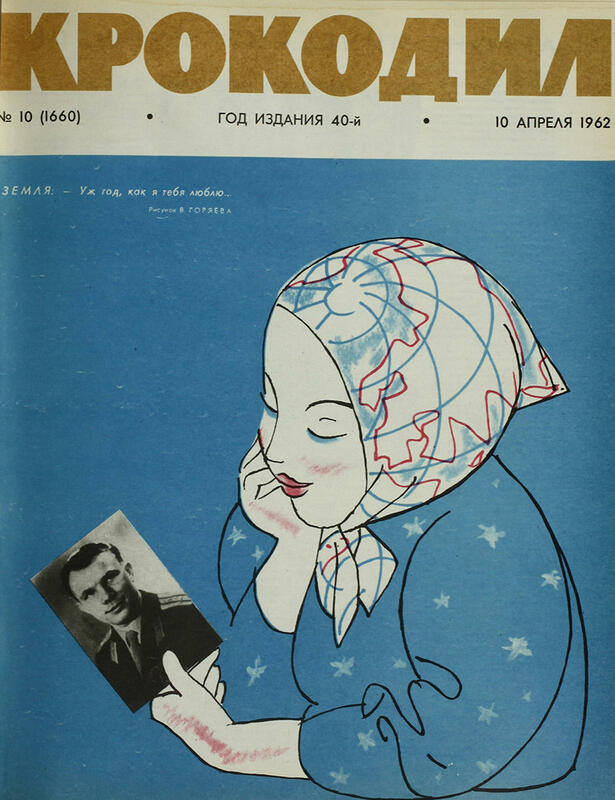 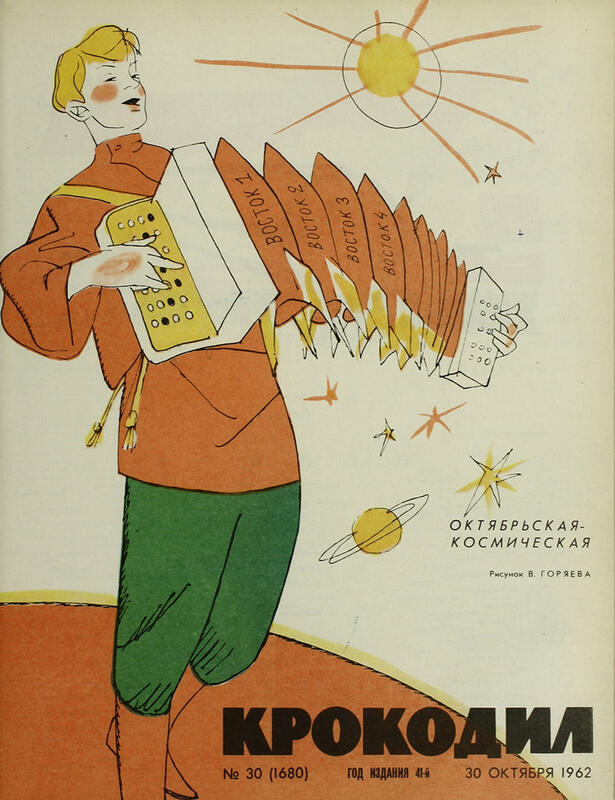 Related: How Soviet Artists Imagined Communist Life in Space – io9.